Born at Leith, Scotland, on 29 August 1737, John Hunter intended to become a clergyman but found the Navy more to his liking. He began as a captain’s servant in 1754, was a midshipman by 1757, and served for thirty years before being appointed second captain of the Sirius on its voyage to New South Wales. Arthur Phillip was first captain and Governor of the new colony. Hunter acted as surveyor of the colony and also sailed to the Cape for badly needed supplies in 1788-89, and during the voyage circumnavigated the globe in Antarctic latitudes. Less than a year after his return, he was shipwrecked on Norfolk Island for eleven months after the terrible of the Sirius. In the subsequent court martial, he was cleared of all blame and then he returned to England. When he heard of Phillip’s resignation as Governor, he applied and received the appointment. Arriving in New South Wales in September 1795 Hunter found the Lieutenant-Governor, Francis Grose, in charge of a profitable traffic in spirits. Hunter’s efforts to put a stop to this met with considerable opposition, including that of John Macarthur, and he found himself accused of the very crimes he attempting to stop. He was recalled to London in 1799. Attempts to vindicate himself were ignored until he refuted the charges in a book, Remarks on the Causes of Colonial Expense of the Establishment of New South Wales (1802). He was finally accepted as an authority on New South Wales and several of his proposed reforms were carried out. Hunter was an able seaman and sound administrator, but his staff were unreliable. Keenly interested in natural science he has an honoured place in Australian zoological and botanical history. He was one of the first to observe the lyrebird, the koala, the platypus and the wombat. After leaving New South Wales, Hunter returned to his career as a naval officer and died in London on 13 March 1821. Born in London on 11 October 1738. Arthur Phillip joined the British merchant navy when he was fifteen and by the time he was eighteen had been accepted as a midshipman with the Royal Navy. From 1755 to 1763, he served in the West Indies and the Mediterranean rising to the rank of Lieutenant. He retired in 1763 but was recalled for the French wars in 1778. He was promoted to Commander in 1779 and became a Captain in 1781. He retired once again in 1784, but two years later was chosen by the Home Secretary, Lord Sydney, to lead a proposed expedition to New South Wales and to become the colony’s first Governor. He took command of the flagship HMS Sirius on 24 October 1786 and on 13 May 1787 led the fleet of eleven ships out of Portsmouth Harbour. The fleet arrived at Botany Bay on 18 January 1788, but Phillip was unhappy with the site and sent an expedition north and eight days later moved the settlement to Port Jackson. Phillip presided benignly over the colony and its numerous early problems. By 1790 he was wanting to return to England the Colonial Office made no attempt to approve his requests. 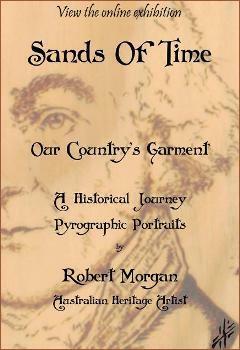 He eventually sailed for England on 11 December 1792 and his resignation was accepted in July 1793. In 1796 Phillip returned to the Royal Navy. Over the next nine years, he rose to the rank of Rear-Admiral (1809) and Admiral (1814). He died at Bath, England on 31 August 1814.